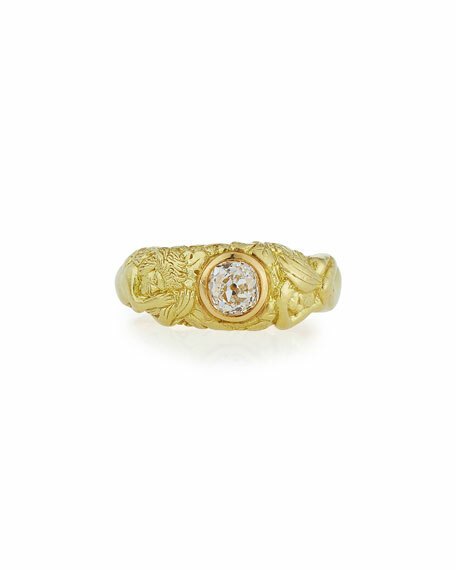 Turner & Tatler handmade ring with Adam & Eve figures at shoulders. 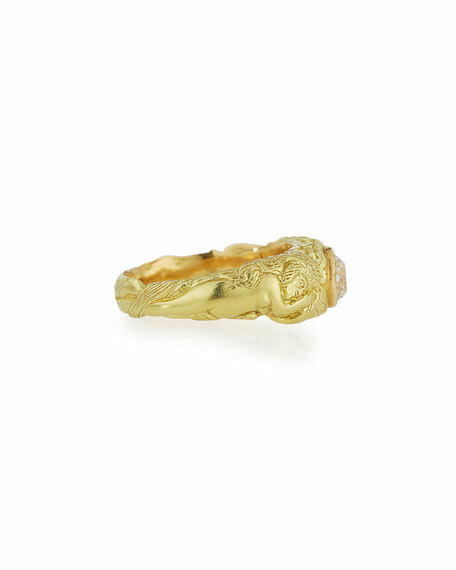 Carved band with Garden of Eden motif. Single old mine diamond set at center. 0.65 total diamond carat weight. In the Turner & Tatler Collection, antique necklaces, rings, and bracelets are reworked into simple but striking examples of timeless jewelry. Each design represents a nod to estate pieces with a modern twist and reflects a period of time when workmanship and detail were exacting. The mission of Turner & Tatler is to steer pieces into this century while preserving the beauty and history of the past.